I’ve always felt that eating out in Denver was not only delicious and fun, but being the foodie from Chicago that I am, I always hope for a bit of an adventure too. To me, a best new restaurant needs to obviously have great food, but it should also have an array of libations, a cool vibe, trendy décor, impeccable service, and leave you wanting to come back again. Old Major Denver has it all! Located at 33rd and Tejon in the Highlands neighborhood, Old Major is considered to be “Bistro Style” serving “American” fare. I’d agree that it’s American, but with some of the most unique takes on dishes that I have ever seen and eaten. How about a “Nose to Tail Plate”, consisting of confit rib, pork chop, crispy belly, city ham, crispy ear, Denver Bacon Co. barbecue beans, cole slaw and corn bread? Overall, the dining is seasonal, with an emphasis on heritage-raised meat and sustainable seafood. I went to Old Major in Denver with my husband and another couple, who we dine with at least once a quarter, and none of the four of us left without our chin on the ground with how good EVERYTHING was. 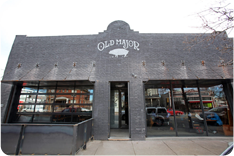 Old Major in Denver is one of the cities hot new spots for many reasons. The owners and chefs pride themselves on working with the farmers and fisherman directly, to ensure culinary greatness. Their cocktail menu is one of the neatest I’ve ever seen, and with happy hour 7 days a week from 3:00 p.m. – 6:00 p.m., you have plenty of time to eventually try them all! Old Major’s wine list is phenomenal as well. We did not have wine on our first visit, but one of their mixologists behind the bar (Courtney Wilson, 5280 Magazine’s current Top of the Town Bartender) let us girls try three different types of vodka and scotch masterpieces, and the boys had craft beers. The set-up of the restaurant has a cozy indoor and hip outdoor combo, with a charcuterie room right in the middle of the restaurant. 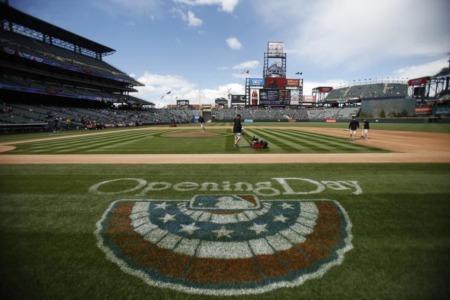 I will say that the bar space itself is pretty small, so while the weather is still good in Denver, grab a seat on the patio. 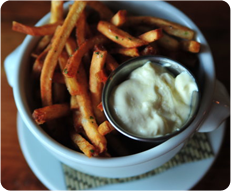 With holiday time quickly approaching, I would book a table at Old Major in Denver for your next date night, family gathering and/or office party, and absolutely make sure to order the Pork Fat French Fries! 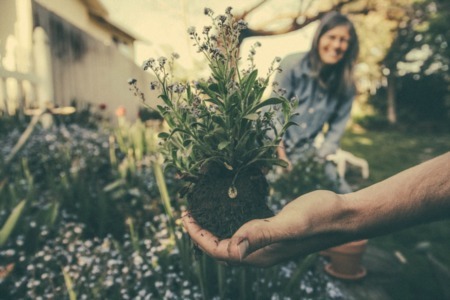 Interested in seeing what homes are available in the Lohi Neighborhood?